Throughout a long and respected music career, Scottish singer songwriter, Sandy McLelland has contributed to the artistic achievements of numerous artists and projects all over the world. Capable and comfortable across many, diverse, musical styles. ‘This music’ represents the culmination of a lifetimes' work. 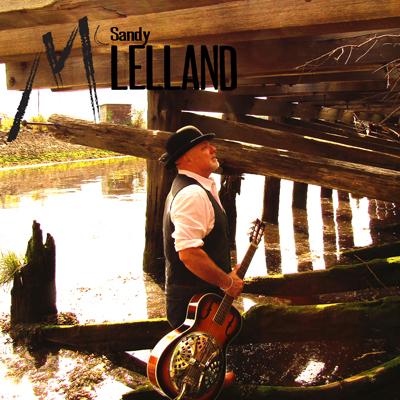 Often full and vibrant, sometimes achingly bare and personal, the all acoustic sound of Sandy McLelland unashamedly pays respect to the American country, blues, folk and soul music he absorbed in his early days in Glasgow. “I've worked everywhere in my time. All sorts. Pop, rock, film music, symphony orchestras. Lots of it was really rewarding and stimulating, but none of it left an imprint on me like the music I first heard when I was young. It's in my bones, intuitive, immediate. Just feels natural and connected. It's what I am. People keep asking why it's taken so much time to give birth to this work. Simple really, I think I just didn't know enough till now. Maybe I still don't.”.